We hold ourselves to the highest standards in every area of life, faith and our actions. All church personnel are called to faithfully live by our Code of Conduct, handbooks and all policies that define and guide appropriate behavior in the workplace. The vast majority of people in the church: priests, religious, lay employees and volunteers, are wonderful, faithful workers for the love of God. However, it is a reflection of the times -- that negative news gets emphasized and highlighted. When problems occur, we address and correct them. The Diocese of Paterson is proud of our priests, religious and lay people who conduct themselves with the utmost character and professionalism. They give of themselves selflessly to bring the love and life of Jesus to others. We are blessed with so many examples of dedication and commitment. The incredible and steady good works happen every day throughout the Diocese. Our parishes, schools, Catholic Charities organizations and ministries are shining examples of doing things the right way, for the right reasons. I am always happy to hear about the great things that our wonderful priests and others do. We very much appreciate reports of good works and acts of kindness that go on, often without notice. Please send a note when compliments are in order. 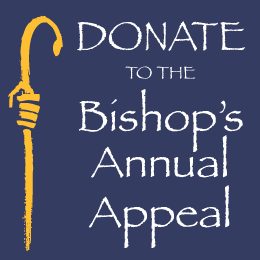 Send email to Bishop Serratelli. I ask people to report negative concerns so we can correct problems; we strive to live by our code and values and we discipline those who violate our standards. Likewise, I ask anyone who has concerns about financial matters or other areas of church stewardship to report them so they can be fully investigated. We use a reporting system which including telephone and web based options, including anonymous reporting to bring any concerns forward.